On Friday December 7th, The Big Breakfast is hosting a very special Christmas Show LIVE from Bewley's on Grafton Street. We'll be going live for a very special breakfast show in the beautiful and historic James Joyce Room, perfect for getting you in the Christmassy mood! Join us for a three course breakfast, live music, huge prizes and the first and ONLY exclusive performance of The Big Breakfast Christmas Panto: Sleeping Beauty. We've got a star studded cast taking part from Dublin City’s biggest Pantos: The Olympia, The Helix, The Tivoli and The Red Cow. We've even got a very special guest joining us from Coppers the Musical which is coming back to the Olympia next year! 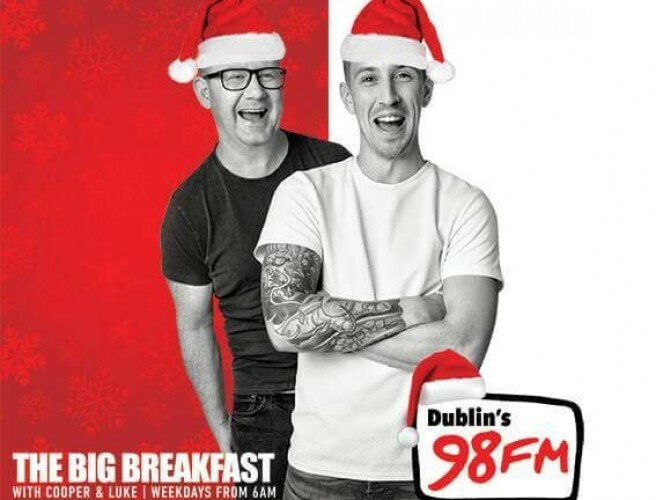 If you want to join us on the most magical show of the year, listen in to 98FM's Big Breakfast all next week to win tickets!